It’s all happening down South on the 5th May. 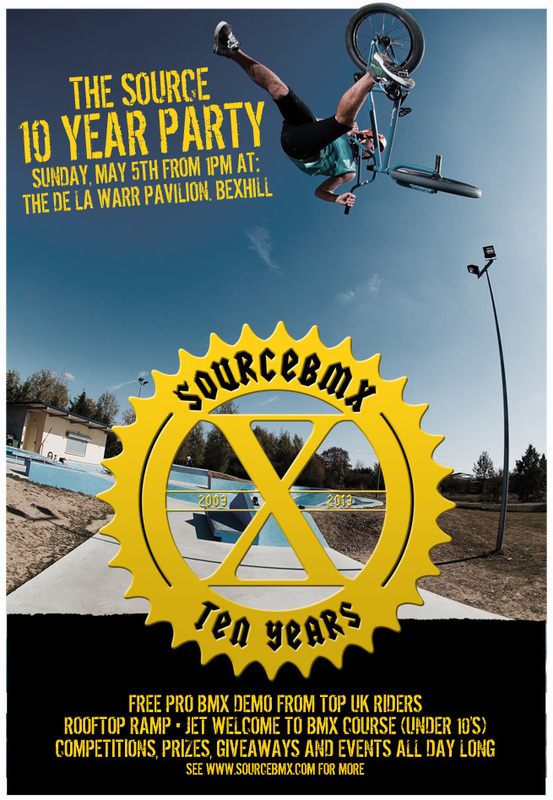 The Source BMX shop are celebrating 10 years of being around by throwing a party on the De La Warr Pavilion in Bexhill. There’s going to be loads of prizes for stunting, pro demo’s and an under 10’s session. All the info can be found over on the Source website here.